This is the one you’ve been waiting for! 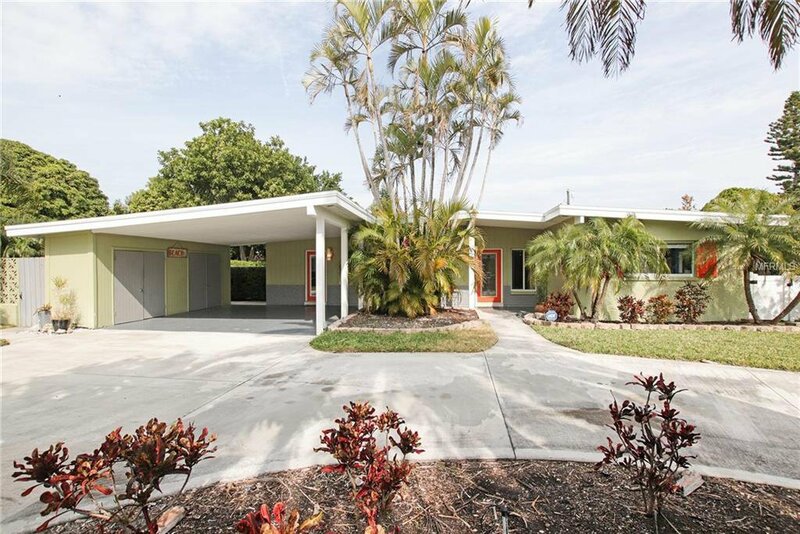 An impeccably maintained 3 bedroom, 2 bath mid-century modern pool home located in desirable Belle Vista. This home offers Florida living at its finest – a large lot with tropical landscaping, pool and spa, huge fenced-in yard, private side patio, additional outside storage, and 2 car carport, all located just a short stroll from the sandy beaches of St. Pete Beach. Step inside and you’ll be wowed by how spacious and airy this home feels, thanks to its open floor plan, vaulted ceilings, and window-filled rooms. The kitchen has been updated with wood cabinetry, stainless steel appliances, granite countertops, and a large island perfect for dining on barstools. All three bedrooms are spacious in size and arranged in a split-plan, with the master opening to the beautiful backyard and back patio. Both bathrooms are clean and bright and feature skylights and lots of cabinetry for added storage. You will fall in love with wonderful Belle Vista with its deeded beach access, playground and fishing pier, kayak and paddleboard launch, all within a short walk to the shopping and restaurants of St. Pete Beach and just a 15-minute drive to downtown St. Pete. This home is not to be missed!! Listing courtesy of RE/MAX BAY TO BAY. Selling Office: CENTURY 21 COAST TO COAST.